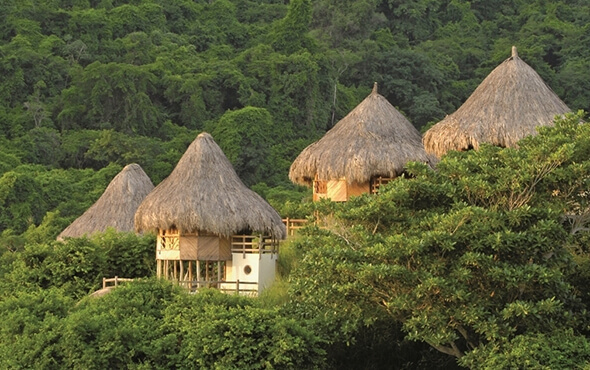 Ecohabs Tayrona is the best accommodation inside Tayrona Park. 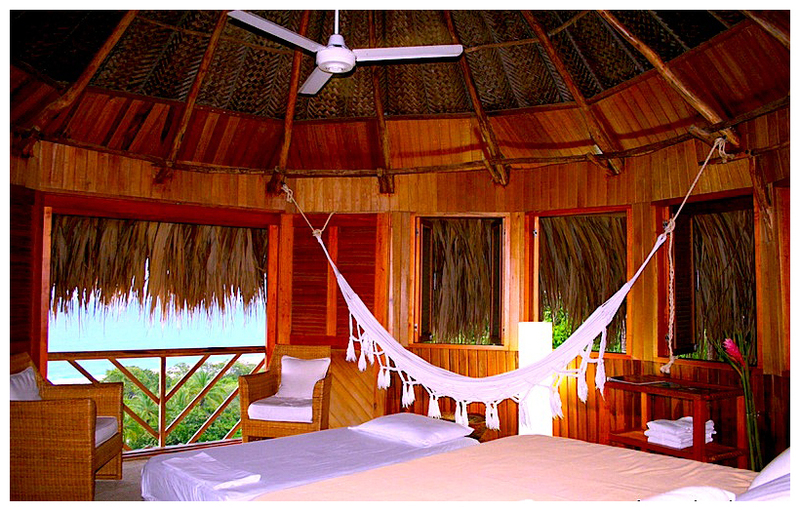 It counts with 14 huts inspired by the indigenous constructions of the ancient Tayrona tribe, based on wood, with high roofs, which are covered with palm leaves, to reach an ideal temperature. These beautiful installations integrate you in the magic of the Tayrona National Park. They are in the beautiful beach of Cañaveral, from there you can explore another beaches of the park walking along the paths. There is a restaurant with delicious international and regional cuisine; a lot of spa options, massages, etc, jacuzzi, hanging bed. The hut has a capacity from 2 to 4 persons, all of them with a great view of the sea and with all the facilities to have a great stay in a magical place as it is Tayrona. Check the rates and book online by clicking here. The prices includes breakfast. © 2016 Tayrona National Park Hotels. All rights reserved.